1.00 Wilfrid Laurier University has officially-registered trademarks, pursuant to the Trade-marks Act of Canada, including names, marks and insignia related to the university such as Golden Hawks, WLU Hawks, academic crests, Laurier logos, designs and symbols. This policy is intended to protect and regulate the use of all names and branded property. 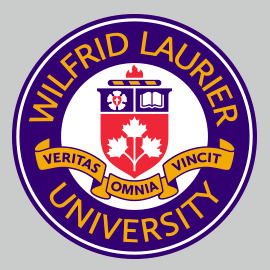 2.01 “Branded property” includes the name “Wilfrid Laurier University” and all names, marks, insignia, logos, seals, crest designs or symbols registered, adopted or used by the university. It also includes branded property for schools, campuses and affiliated programs and colleges. 2.02 “Commercial use” includes all use of branded property for financial benefit, including the use of branded property on all merchandise and licensing. 2.03 “Non-Commercial use” includes all use of branded property for no financial benefit, including affiliations and partnerships, use by not-for-profit organizations for fund raising activities, as well as advertising and endorsements. 3.00 This policy applies to the use of all existing or newly developed branded property that is registered or adopted for use by the university. The policy is to ensure legal protection and consistency in the application and use of branded property for commercial or non-commercial purposes. The policy applies to all faculties, departments, staff, students, contractors, external partners, boards, agencies, associations, suppliers, agents or individuals working for or representing the university. 4.01 Wilfrid Laurier University shall use, develop, and manage branded property that preserves and protects the university’s image in a way that facilitates a consistent, coherent and distinctive image for the university in all its communications and activities. Use of branded property will be in accordance with this policy and established university procedures. There shall be no use of branded property without prior authorization. Any unauthorized use by any person(s), organization or companies is unlawful. 4.02 No use of branded property will be permitted that may negatively impact the image or reputation of the University. Apply in writing to: Director: Retail/Printing Services for approval. Note: Only authorized external businesses who have entered into a license agreement with Laurier may be used for merchandise. For affiliations, partnerships, advertising and endorsements. Apply in writing to Assistant Vice-President: Communications, Public Affairs and Marketing for approval. Apply in writing to the Director: Athletics and Recreation for approval.